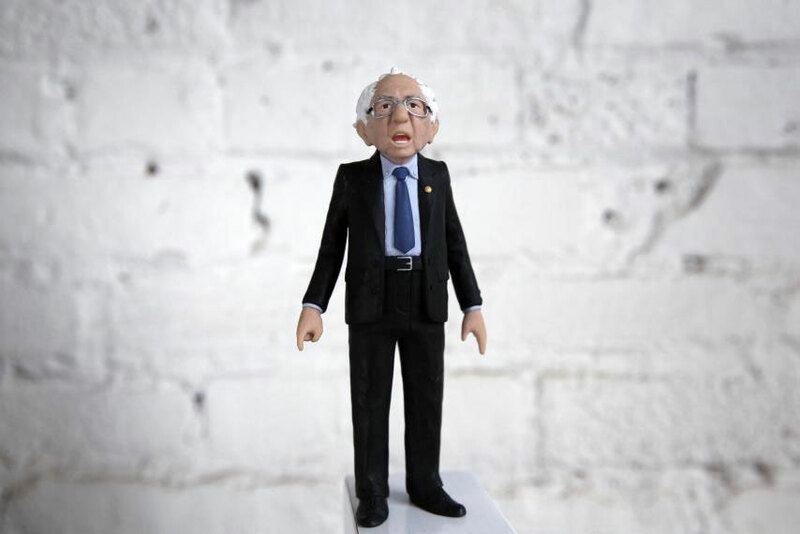 NEW YORK (Reuters) – Orders for a Bernie Sanders action figure, complete with the U.S. Democratic presidential hopeful’s signature slouch, open mouth and accusatory pointed finger, were flooding in from fans on Thursday, months ahead of the toy’s delivery date in July. Brooklyn product design company FCTRY created a prototype for the 6-inch (15-cm) tall plastic version of the Vermont senator and started a Kickstarter campaign with a goal of raising $15,000 to fund production. The company has also sold 20,000 Hillary Clinton action figures depicting the former secretary of state and Democratic presidential hopeful in a sky blue pant suit. It previously sold 200,000 President Barack Obama action figures, said FCTRY Chief Executive Jason Feinberg. 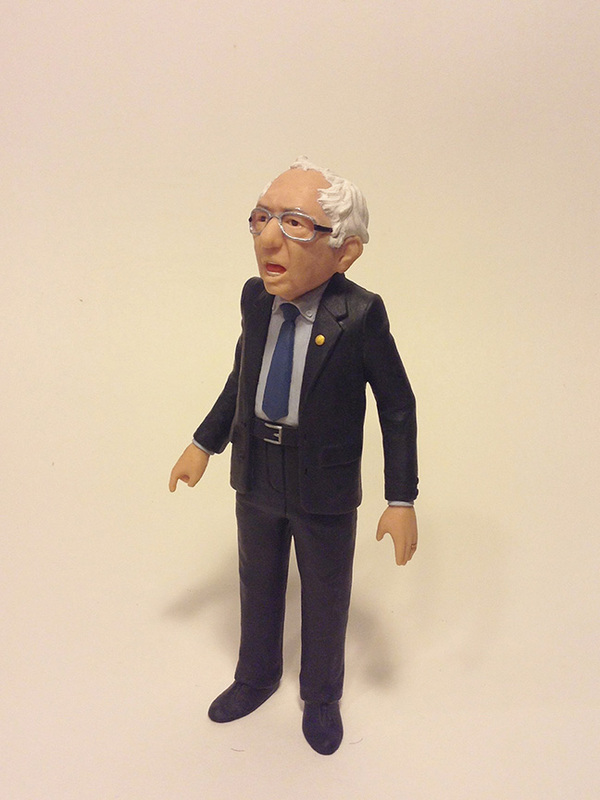 A prototype of the Bernie Sanders action figure was created by Seattle pop-artist Mike Leavitt and will be mass produced overseas, Feinberg said. The figures are expected to be ready in July, the same month as the 2016 Democratic National Convention, when Clinton and Sanders face off as the party chooses its nominee for U.S. president and vice president for the November national election. The company has no plans to turn New York real estate developer Donald Trump, Senator Ted Cruz of Texas, Senator Marco Rubio of Florida or any of the other Republican White House contenders into toys. “In 2008, we were sort of compelled to make a (Senator John) McCain and it’s something I’ve always regretted so there were no Republicans this time,” Feinberg said. 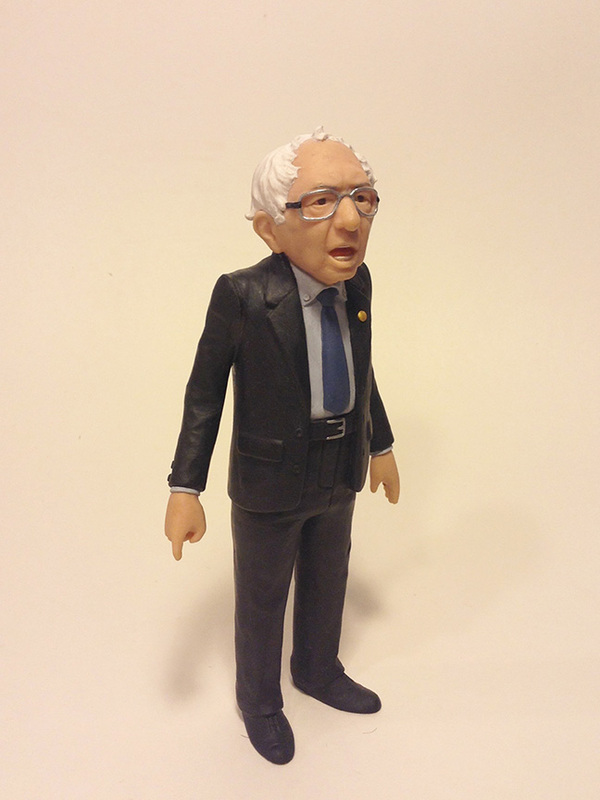 Among the pre-order deals available online is “The Full Ticket,” which includes a single Bernie Sanders action figure plus a single Hillary Clinton action figure. “We’re just sayin. Crazier things have happened,” the Kickstarter site notes. A Sanders spokesman did not immediately respond to a request for comment.